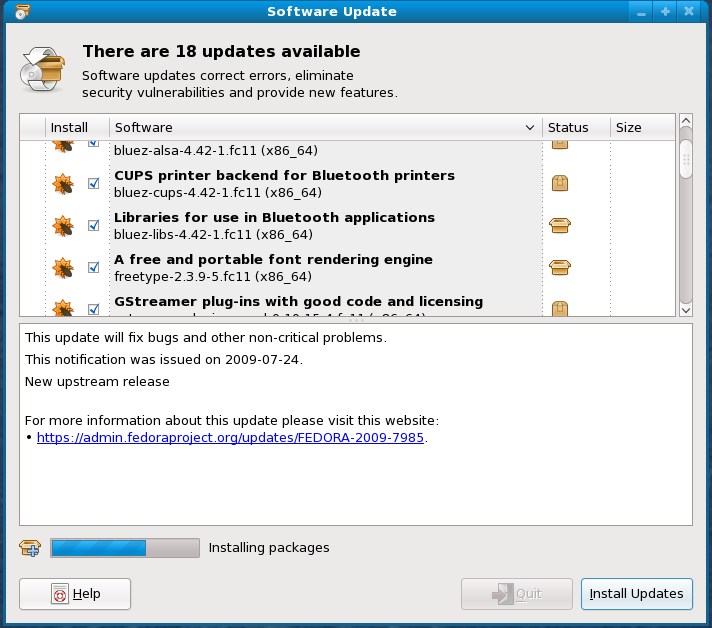 A few weeks ago I did an update to Fedora 11 using preupgrade. Nothing really broke other than iPods. My shuffle doesn’t work as well, but I’m working on fixing that. I also think that the updates are less annoying-looking and are more informative.